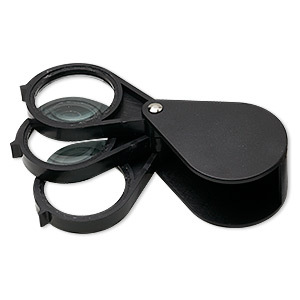 Item Number: H20-1610TL Have a question about this item? 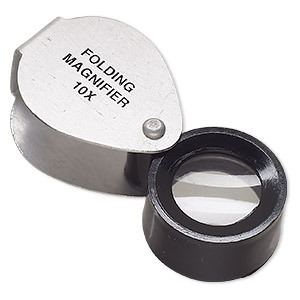 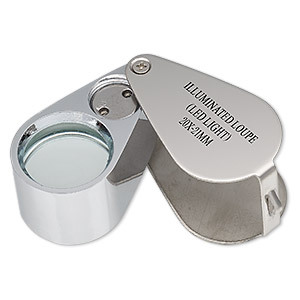 This folding loupe magnifies gemstones and other jewelry-making components to ten times their actual size. 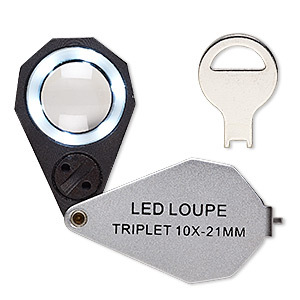 The loupe, pronounced "loop," is travel size, making it ideal for tradeshows and markets. 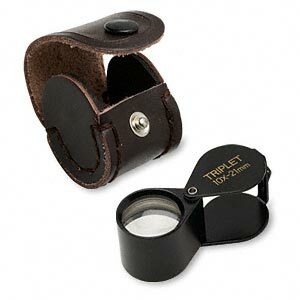 Fold loupe to protect lens when not in use. 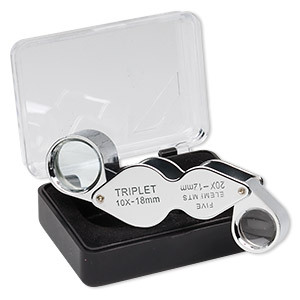 Cover color will vary.